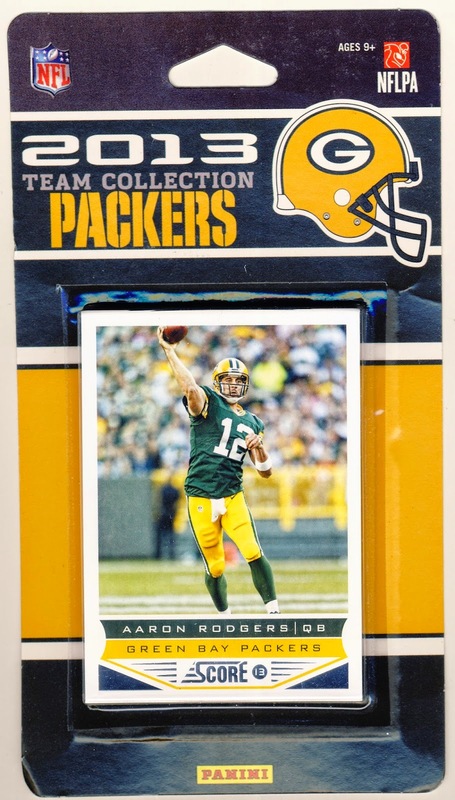 Each year I buy myself at least one team set...sometimes two [one for ripping, one for saving] and this year's set was from a Shopko from one of my return trips to Wisconsin. 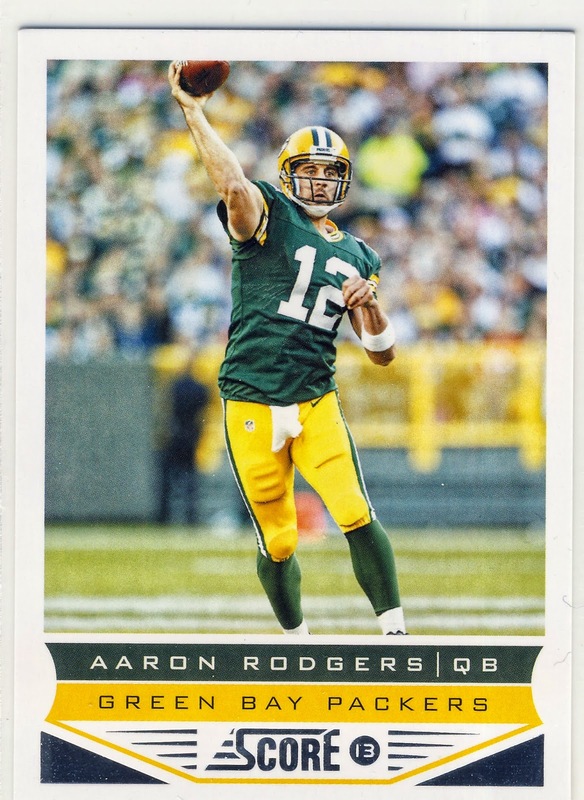 The set starts with Aaron Rodgers per usual and it's been nice seeing Rodgers and nearly every Badgers NCAA tournament game. Aaron's brother, Jason, was recently signed by the Dolphins and will compete for the back up position. 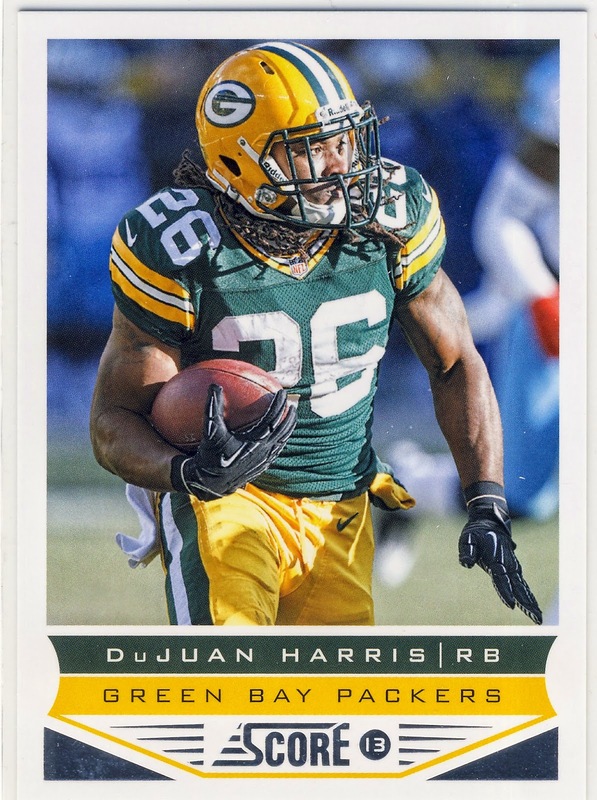 If he makes the roster it will surely be a story when the Packers play the Dolphins next season which they should based on the conference rotation schedule. 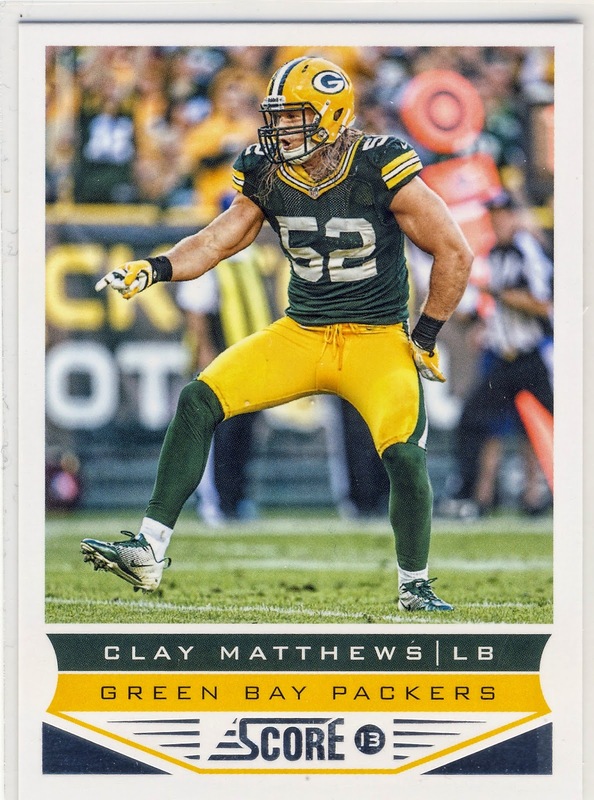 The one defensive card [other than the Datone Jones rookie card] is of Clay Matthews. Some sets will have A.J. Hawk or possibly B.J. 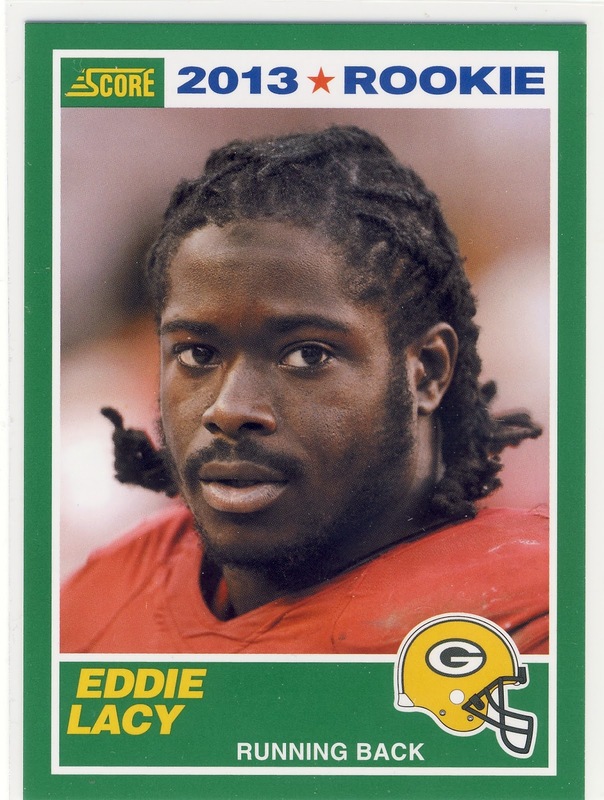 Raji but here we have The Claymaker and nothing else. 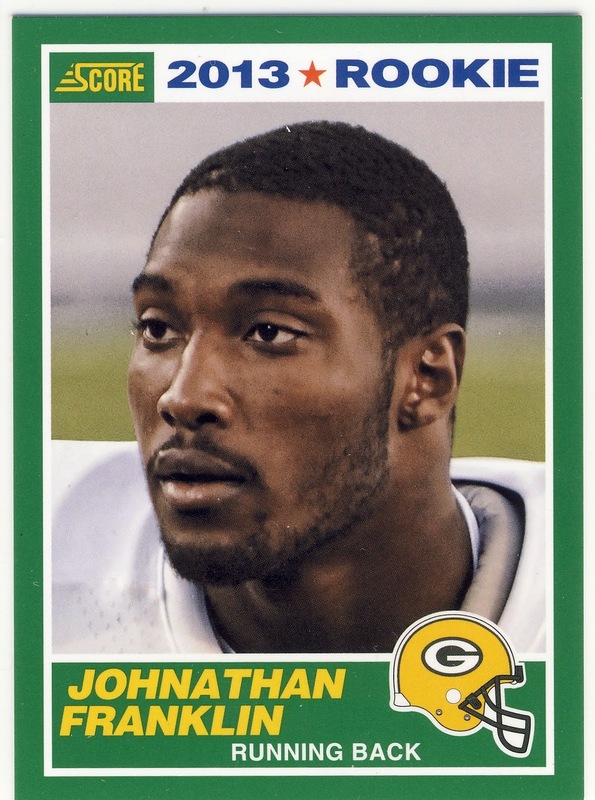 Clay broke his right thumb twice last season which has to be the oddest injury in a season full of Packers injuries. 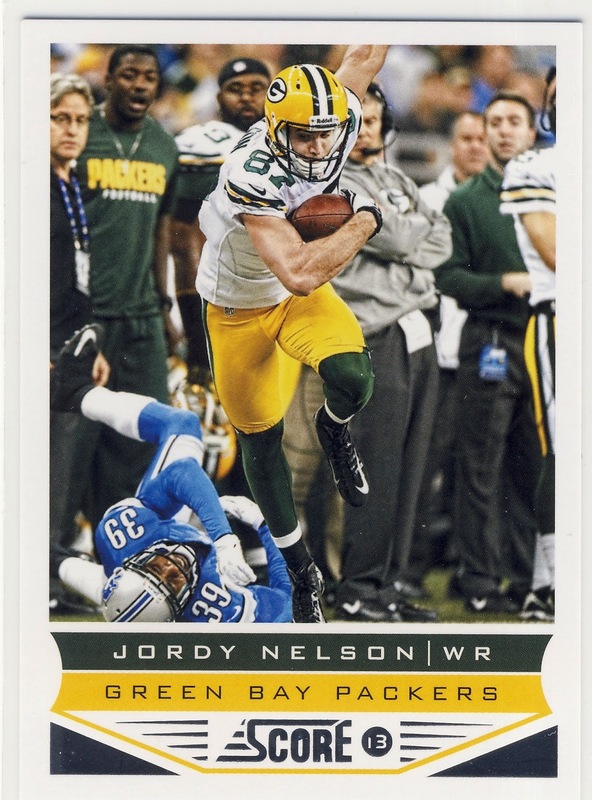 2013 saw Jordy Nelson become the Packer undisputed #1 receiver and Jermichael Finley barely survived the season. 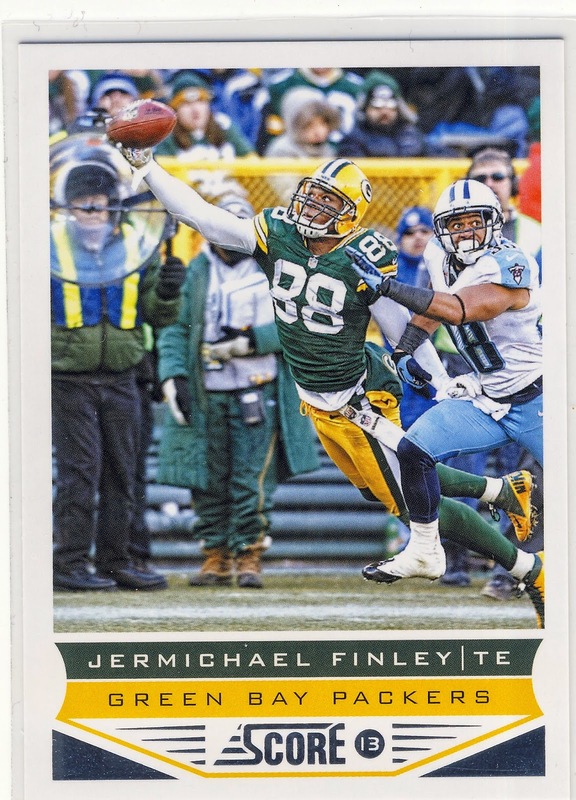 Finley is a free agent currently and it sounds like he will remain a Packer even though there is a good chance he won't play at all in 2014. 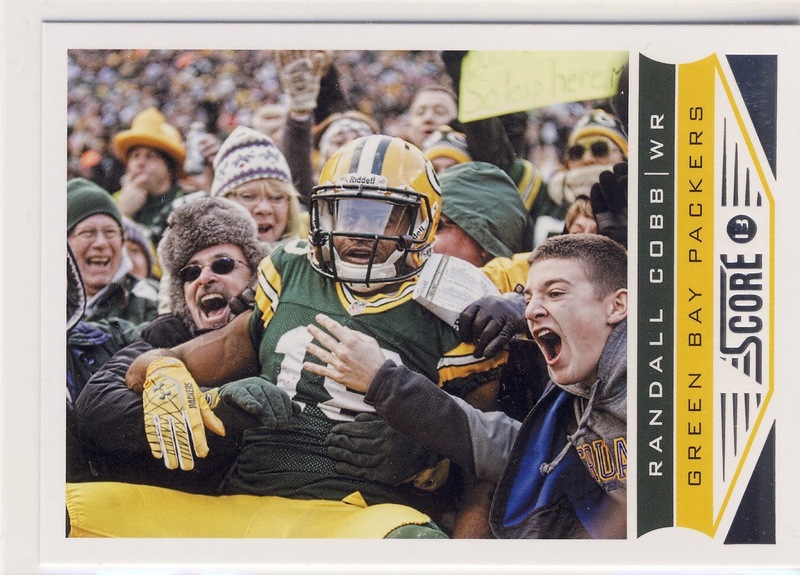 I really like the two horizontal cards in this year's set. How great would it be to be one of the fans in that shot? 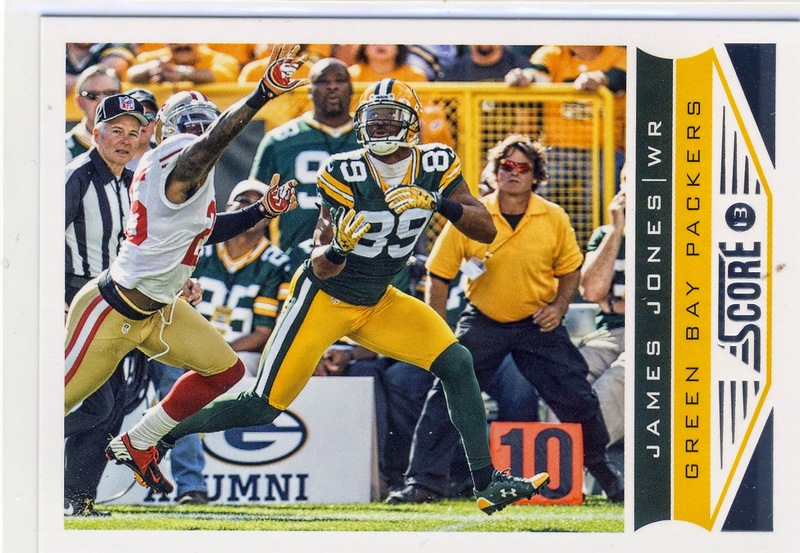 Like Greg Jennings last year, James Jones left the Packers during free agency for the Raiders. And I think like Jennings he's going to learn what happens when you have to catch passes that aren't thrown by Aaron Rodgers. 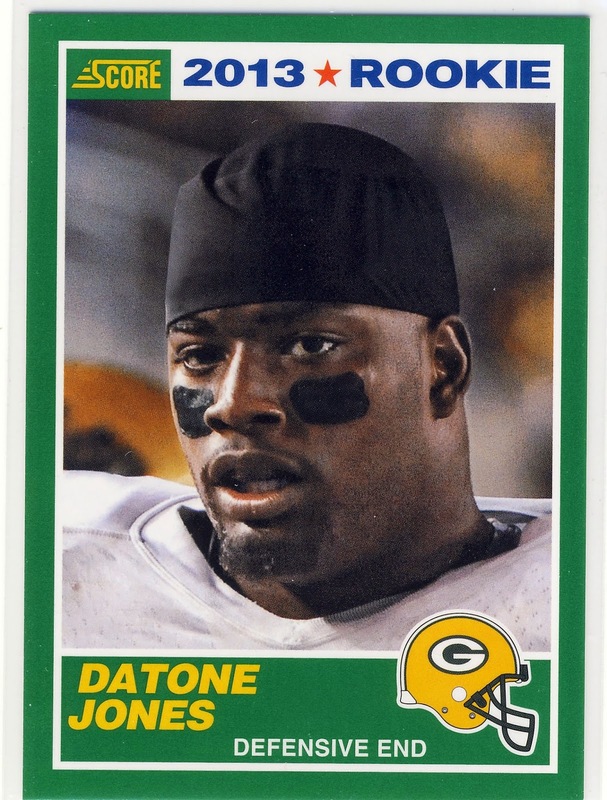 Of the three rookies included in the 2013 set, it is 1st round pick Datone Jones is the player that didn't have much impact on the team at all. Hopefully next season will demonstrate why he was drafted 26th overall.